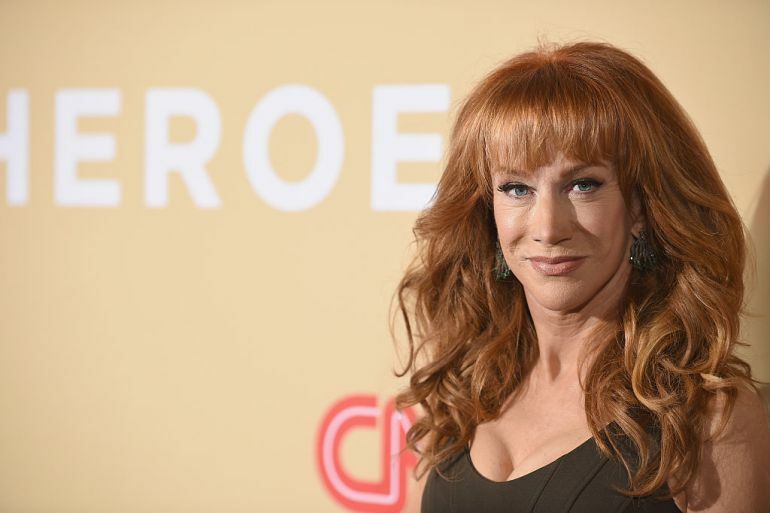 A month later, and we finally have comedian and fired CNN contributor Kathy Griffin‘s thoughts on CNN’s New Year’s Eve special, which she wasn’t hosting this year. Griffin didn’t plan on watching — in fact, reports Us Weekly, she spent the evening “making love” to her boyfriend — but when she and her boyfriend received nonstop texts about the broadcast, led by her (former) friend Anderson Cooper and Andy Cohen, calling it a “trainwreck,” they tuned in. The special came in first place in the ratings, despite Griffin’s absence. Perhaps it comes with age – I’m as old as our President. I say they’ve all been punished enough, It’s time to move on and let them find new fulfilling careers. And by “they” I mean Kathy Griffin, Billy Bush, Eric Bolling and Bill O’Reilly.